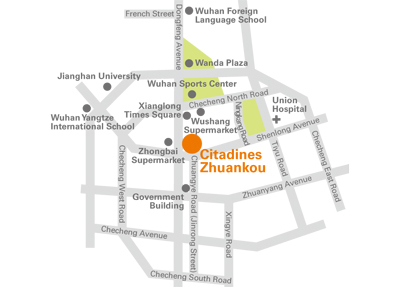 Citadines Zhuankou Wuhan is located at the Wuhan Economic & Technological Development Zone, Hanyang, which is situated close to the Dongfeng Peugeot Citroen Automobile Company LTD. (“DPCA”) headquarters and its training centers. “Nearby shopping malls like AEON Mall, Wanda Plaza and Ren Xin Mall give you quick access to a multitude of fashion, entertainment, beauty and dining options, letting you enjoy life to the full. 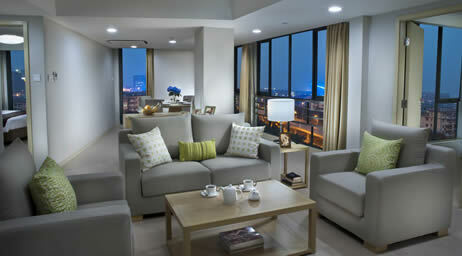 The Dongfeng Motor Corp. Station is a mere 3 minutes walk.” The residence is part of a large mixed development with both residential and retail components. The lobby and retail outlets are located on the ground floor of block C2 & C3 with the apartments located on the floors directly above. All 249 units ranging from studios to two-bedroom apartments come with modern and functional living and dining areas, a fully-equipped kitchen, broadband internet access and satellite television channels. Designed with global executives and their families in mind, our 24-hour security and guest services provide you with a private and safe environment. 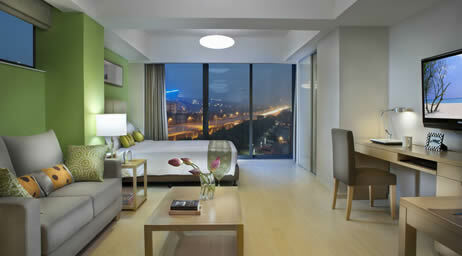 Our extensive recreational facilities support your work-life balance. 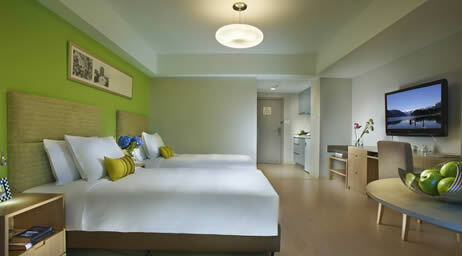 A fully-equipped gymnasium and swimming pool are justsome options to help you keep fit, unwind and have fun. 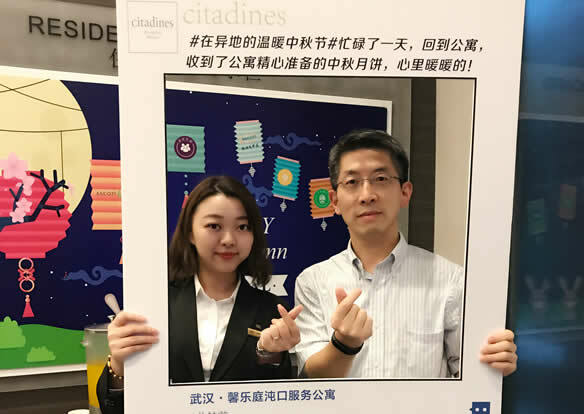 Earth Hour Event was held in Citadines Zhuankou Wuhan on 30th Mar,2019.We invited 15 long Stay and 10 employees to paticipate the event.18:30pm of the day,We rode from Citadines to the terminal Houguan-Lake Grand Bridge, then turned back to Citadines. It's about 8 kilometers away, and last 1 hour.The public welfare event has been warmly welcomed by Long Stay since the registration. Although the weather and road conditions on that day are not very conducive to cycling, But our Long Stay and staff set out with full enthusiasm. 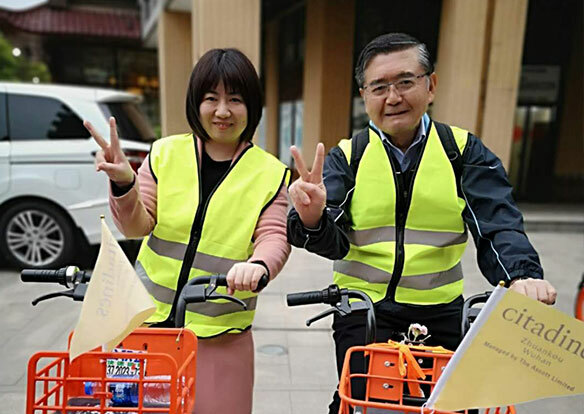 We used low-carbon cycling to publicize the concept of environmental protection to everyone. We hope that through a small change of everyone, smog no longer, blue sky reappears. We put up event poster in the lobby, and invited residents by letters in room 3 days in advance. At the beginning of the activity, we thanked the guests for turning off the lights for an hour to contribute to the environmental protection, and we thanked our guests for taking part in earth hour. Then we showed the guests how to make lampshades. 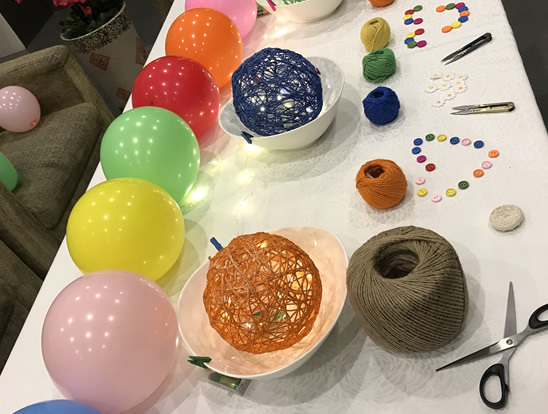 We provided the guests with hemp rope, white latex, balloons, small ornaments, and we prepared snacks and drinks for guests. We guided and assisted the guests to make hemp rope lampshades. The guests had a good time, and they said the activity of handcraft was meaningful. The guests were very satisfied with the lampshades they made, we thanked guests for their support and participation. 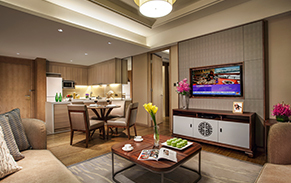 As the Dragon Boat Festival approach, Citadines Zhuankou Wuhan prepared various traditional Chinese rice-pudding, duck eggs and cold drinks for all residents. 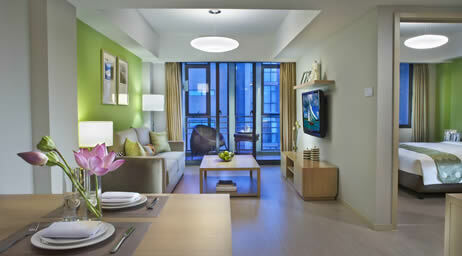 In the lobby we also set up decoration of the Dragon Boat Festival, so that guests can feel the festive atmosphere. GRO and Ascott Host introduced the legend of festival to guest, introduced the story of Qu Yuan, and the customs of drawing dragon boat, eating rice-pudding. 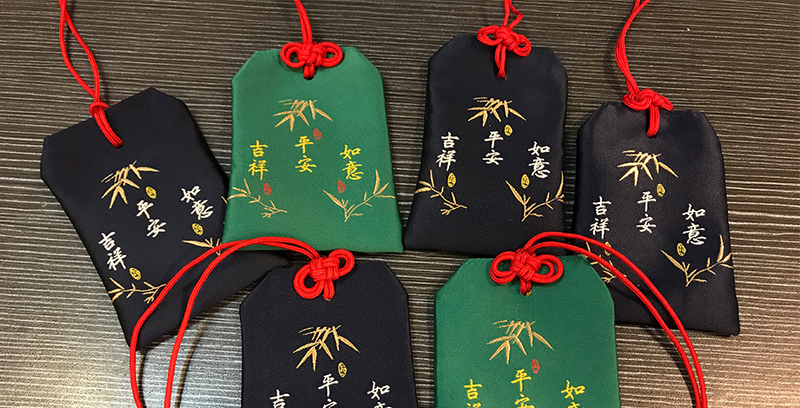 During the event, we prepared 30 sachet as a gift for long stay residents, to let guest feel the warmth of home, also for foreign guests to experience a traditional Chinese culture.